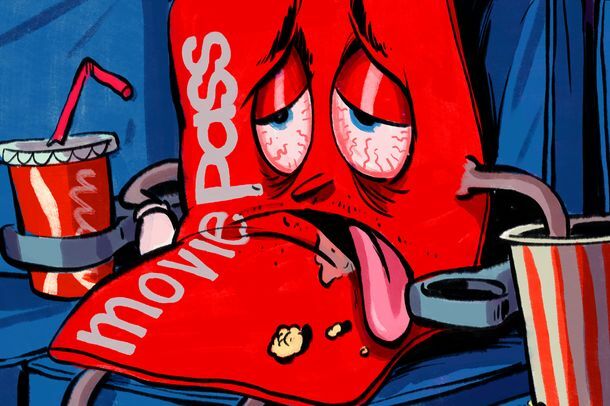 MoviePass Is Back From the Dead With a New Unlimited Subscription PlanBut what about the Bruce Willis movie? This $30-a-Month Service Wants to Be the New MoviePassIs there room for both? MoviePass Now Limited to 3 Movies Per MonthThe restrictions come after last week’s temporary price hike. MoviePass to Implement Surge Pricing for Popular Films, So That Was Fun“High demand” rates will arrive in July. AMC Launches $20 Subscription Plan to Rival MoviePassSay hello to AMC Stubs A-List. Can MoviePass Survive the Summer?The cut-rate service is growing fast, but bleeding cash. What’s Behind MoviePass’s Latest Power Moves?The “Netflix of Theaters” put AMC on blast and is moving into film distribution. MoviePass Announces New Plan to Partner With Distributors to Acquire MoviesThe subscription ticket service unveiled their new subsidiary, MoviePass Ventures, at Sundance. For $10 a Month, Unlimited Movies at the Theater Is Now a PossibilityHowever, AMC doesn’t want it used at their theaters. Vulture Bytes: D.J., Beat Box, Air Guitar EditionThis week, opportunities to be a digital D.J., a digital beat boxer, a frugal yet obsessive moviegoer, an obnoxious teenager, and an Air Guitar maestro.